Vladimir Lenin's embalmed body has been on public display in Moscow since his death in 1924. When UCLA history professor J. Arch Getty presents “Dead Man Talking: Lenin's Body and Russian Politics,” the UCLA Academic Senate’s 119th Faculty Research Lecture on Oct. 19, he will be speaking from a deep well of scholarship in Russian history. Getty specializes in the Stalin period and the history of the Soviet Communist Party led by Vladimir Lenin following the 1917 Bolshevik revolution. 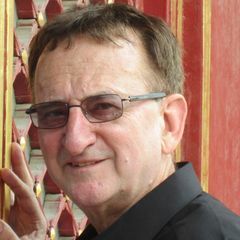 A faculty member affiliated with the UCLA International Institute’s Center for European and Russian Studies, Getty has been a research fellow of the Russian State Humanities University in Moscow and a senior visiting scholar at the Russian Academy of Sciences. 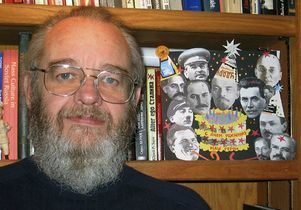 He spends several months each year in Moscow “working in the political archives of the former Soviet Communist Party … shivering in unheated reading rooms,” he posted on the history department website. Getty's current research project, “Burying the Russians,” is about funerals, tombstones and ideas about death in Russia over the centuries. 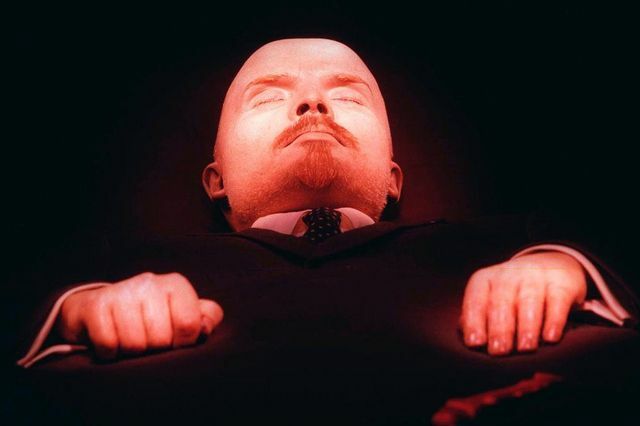 This includes the intriguing details surrounding Lenin’s body, which was embalmed shortly after his death in 1924 and has been on public display ever since in a mausoleum on Moscow’s Red Square. Getty’s lecture, which all members of the UCLA community are welcome to attend, will take place in Schoenberg Hall on Monday, Oct. 19, at 3 p.m., followed by a reception. 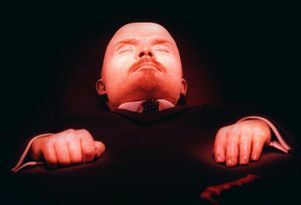 Lenin’s embalmed body has been on public display for nearly a century. How does public reaction to this tradition differ between Russians and people from other countries? People from many countries, especially in the West, are amazed and dumbfounded by the preserved body. But those from places with different cultures and traditions are less surprised. In places where power is still personalized, with one man often ruling for life, the person — and the body — symbolizes the state. In the Russian Orthodox religious tradition, the bodies of holy saints are revered relics that do not decay. Lenin is therefore a kind of communist surrogate religious saint; his body is a holy relic for many. Yet Russians today are divided. The younger generation is not interested in the mummy on Red Square, and many find it embarrassing. But the older generation still reveres Lenin as the founder of the modern, powerful Russian state. Whatever the current Russian leadership might think, it is afraid to offend that generation, so the body remains where it is. How well do you think an American statesman’s preserved body on permanent display would play in the U.S.? Not well at all. Western constitutional systems have taken the focus away from the person of the leader, whether a king, a tsar or a commissar. The person-body of the ruler is not the center or symbol of the state. It's a constitution that provides legitimacy and continuity, while leaders come and go. How did you first become interested in Communist-era Russian history? My focus on Russia was something of an accident. When I was in college at the University of Pennsylvania in the early 1970s, studying alternative political systems — including socialism — was popular. I was always interested in political history, but for the longest time I thought I would study French history. In my junior year, I needed an afternoon class … and there was Russian history. “Why not — for a change?” I thought. The class was taught by a fantastic lecturer, and I was hooked, fascinated from that moment on. What motivates you to spend months every year “shivering in unheated reading rooms” in Moscow doing research? If one wants to study and write on Soviet history, one inevitably finds oneself in a Russian archive because that's where the historical documents are to be found. No matter what aspect of modern Russian political history I have studied, my source material is in an archive. They are sometimes uncomfortable places because post-Soviet Russian governments have drastically cut funding for archives, libraries and the like. The U.S. is currently at odds with Russia over Ukraine and Syria. Are there lessons from the USSR’s past that would help in dealing with Russia and Vladimir Putin today? Absolutely. Russia, like all countries, is to some extent a product of her history. Russian history over the centuries has been one of invasion — first, from the east and, in modern times, from the west. Poles, Swedes, Napoleonic Frenchmen and Germans have advanced to Russia's borders and then invaded. In the past decade with NATO incorporating new Eastern European members — after having promised Russia not to do so — Russia saw an unfriendly military alliance pushing up to her borders again. This has always meant conflict and invasion for them, and they are conditioned to react forcefully. For Putin and for most Russians, the Ukrainian revolution was a western-inspired threat to Russian security, carrying the possibility of a NATO expansion to Russia's borders. Russia views its incorporation of Crimea — which the west views as an aggressive action — as a defensive measure. “Here comes the aggressive West again, trying to threaten us.” Russians did not feel they could tolerate NATO bases in Crimea, where Russia has her own naval installations. 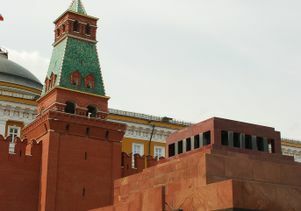 Vladimir Lenin's embalmed body has been on public display in Moscow's Red Square since his death in 1924.